Plush white elephant. 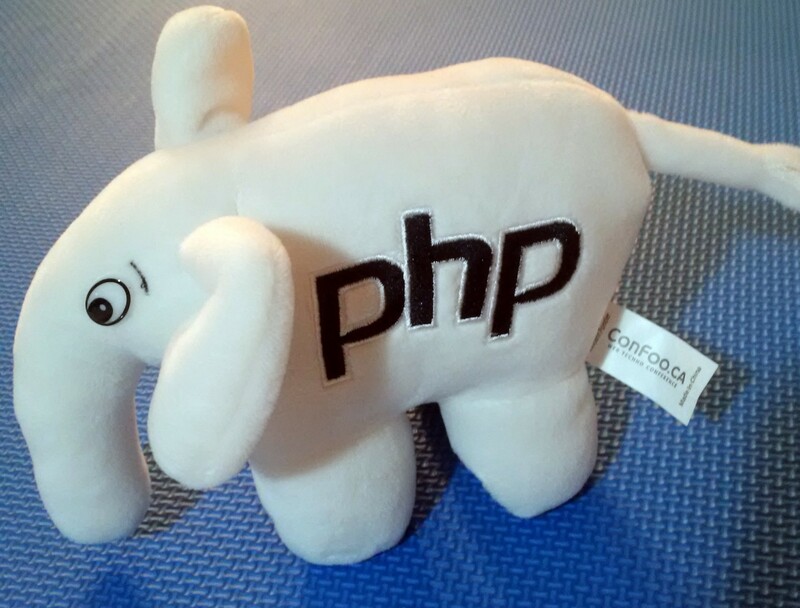 "PHP" on one side. 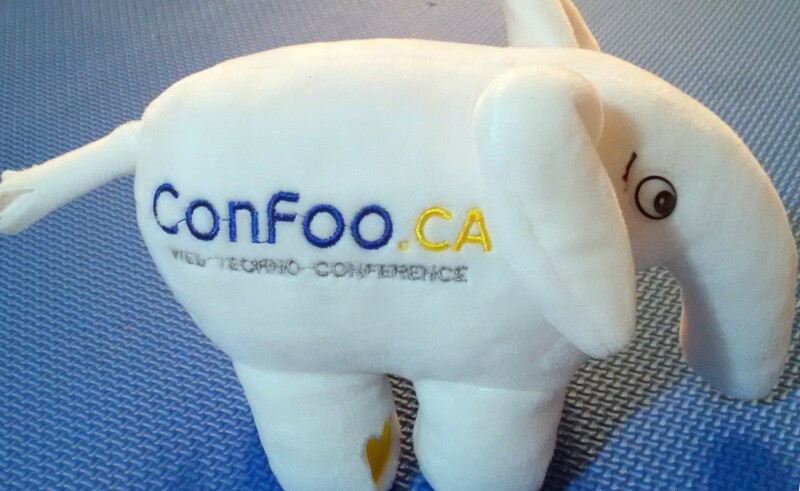 "ConFoo.ca Web Techno Conference" on the other. 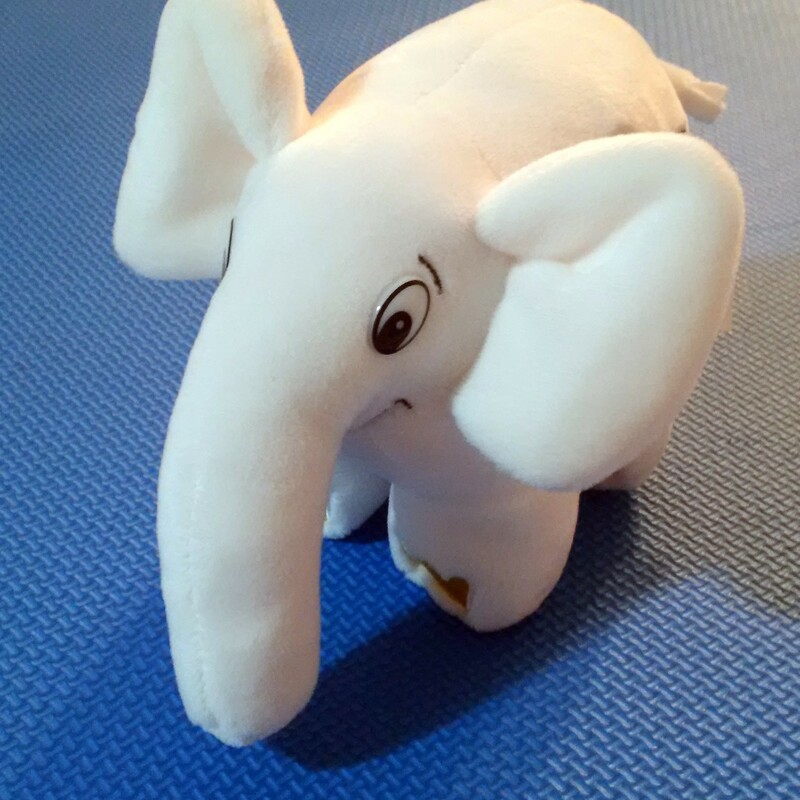 The plush white elephant is also known as Phil Snow. Knows everything. Enjoys skiing, conferences and travel. Why the minimum? We don't have the manpower to deal with individual shipments. Why can't I order more than 12? If you want more, you'll have to split it into multiple orders to keep the shipping costs down. For example, a box of 20 costs over 90 CAD to ship to Europe, while shipping two boxes of 12 cost a total of 45 CAD using the same service type! Our shipping calculator doesn't let us configure such details, so you'll just have to place multiple orders. Don't forget that if you're outside of Canada, your country will charge you duties. This amount is outside our control, but is generally quite low for stuffed animals. For example, importing 8 elePHPants into Germany should cost approximately 7.50 CAD for the whole box.